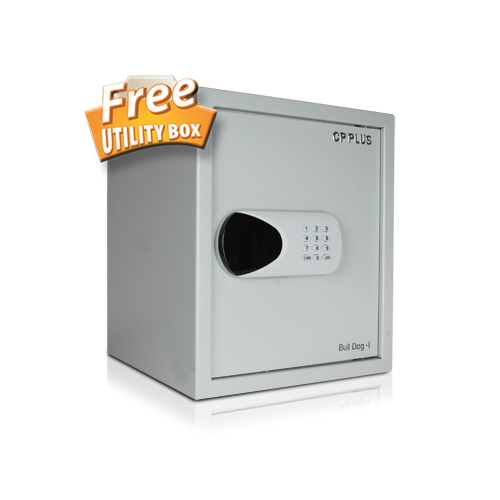 Looking for a safe that offers superior strength and a larger storage capacity Look no further. Packing in a 40 Ltrs capacity, it offers ample storage and sports a classic, minimalistic design. The electronic keypad lock offers keyless access and while the thick-walled unibody build ensures optimum protection against break-ins. Plus there is a multipurpose utility box that we are giving away with it, absolutely free!